On February 22nd, Mr. Greenwald will be presenting CIVIL WAR IN THE WEST: HOW WESTERN TERRITORIES CONTRIBUTED TO THE CAUSE in Tularosa at the Dry Goods Store (308 Granada Street) at 6:30. Doors open at 6:00 pm. This presentation follows on last month’s presentation DEAD MEN DON’T TELL TALES, OR DO THEY? THE FORGOTTEN FEW, a presentation that focused on the looting of the Fort Craig post cemetery and the efforts to remove all remaining burials and relocate them to the National Cemetery in Santa Fe. This presentation fall 157 years after the Battle of Valverde, for which re-enactments will be conducted near Socorro on February 23rd and 24th. Mr. Greenwald directed the excavations at Fort Craig and his continued research into Fort Craig and the Civil War period in New Mexico led to a review of Civil War events in the western US, territorial divisions of the time, and the contributions each territory made during the Civil War. He begins with a review of war-time strategies in the West, with a brief discussion of the Mesilla Battle, Battle of Valverde (north of Fort Craig) and the battle at Glorieta Pass (or Johnson’s Ranch in Apache Canyon). 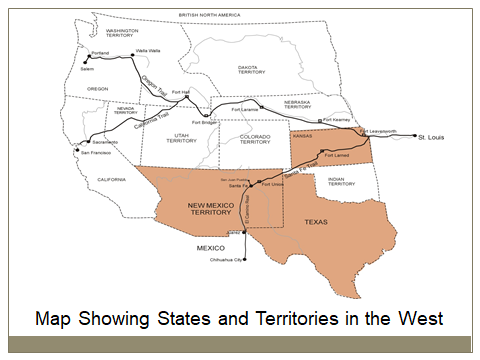 Following the end of the attempted siege of the western region of the nation by mid-1862, western territories played a key role in the support of the Union efforts to end the Confederate States of America’s attempted secession. February 22. This presentation is “Civil War in the West” and examines how east territory contributed to the war effort. It follows last month’s presentation “The Forgotten Few” on Fort Craig and the lootingin the post cemetery. Please join us. Coincidently, the presentation is scheduled 157 years after the Battle of Val Verde, the first major confrontation between Union and Confederate troops in New Mexico. It will be at the Dry Goods Store in Tularosa at 6:30. Please park behind the Dry Goods Store and enter the rear door as construction on Granada Street will still be underway.